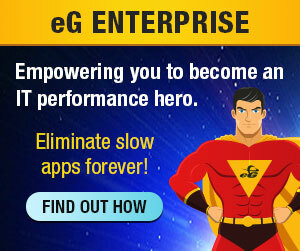 Did you know that eG Enterprise offers far more than IT performance monitoring? As our customers know, eG Innovations provides exceptional IT performance management or as our tagline says, “total performance visibility,” but that’s really just the beginning of the story. Going Beyond is a periodic post where we talk about other, somewhat less well known eG Enterprise capabilities and features. This week, we’ll discuss some of eG Enterprise’s outstanding capabilities to proactively manage critical IT security and compliance tasks. 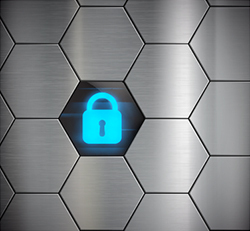 As recently as last week the news has been filled with new security breaches in social media, e-commerce and healthcare, and the sheer numbers involved can be staggering. Thousands, tens of thousands, and sometimes millions of records are reported to be exposed to identity theft and other dangerous outcomes. As the potential risk grows, the government’s response traditionally involves requiring more detailed reporting by IT departments. And inside of individual organizations, increased exposure to risk often results in internal IT security and compliance policies designed to preempt legal requirements and market-driven expectations. Without an end-to-end monitoring solution to rely on, the IT organization and the security/compliance groups can only communicate reactively rather than proactively, and thus must expend countless extra man-hours to meet the documentation demand by tracking down information from various siloed resources. Fortunately, eG Enterprise has a solution for this ongoing (and escalating) situation. Its standard web-based reports enable your team to easily fulfill required security/compliance audit requests, as well as meet internal company policies, all from a single, user-friendly interface. Centralized data collection and reporting eliminates errors, saves time and reduces the stress often associated with these critical tasks. Further, the reports can be automatically generated on a scheduled basis, or ad hoc anytime.